Although many types of grass look somewhat similar, if it is not a grass you specifically want in your yard, then you probably consider it a weed. You may have been wondering what to do about these other types of grass, but were not sure what to do about it. Fortunately, once you learn a few things, you can stop this problem type of grass from growing in your yard or at least learn how to control it. Bermudagrass (Cynoden dactylon) is a creeping perennial summer grass that is often grown as a turfgrass in many parts of the South. It has short lance-shaped blades extending off of low lying stems that somewhat resemble outstretched fingers. Although it does produce seed, it generally takes over existing yards by spreading. Bremudagrass does not like shady areas, but does well in either dry or wet soil and is highly invasive. If removal is desired, it may be physically displaced from landscaping beds; however, its spreading nature does not make this practical for lawn removal, and a broad application of a post-emergent herbicide is generally used when a new lawn is to be established. Crabgrass (Digitaria sanguinalis) is a summer annual grass that grows in a bunch and has short, broad, light green leaves that are quite coarse. It first appears once soils have warmed to 60 degrees F and temperatures remain this way for three to five days. In summer crabgrass flowers and begins to seed by July, continuing until it is killed by the first frost in autumn. Found throughout the United States, crabgrass is considered one of the most common types of problem grass, and a single crabgrass plant may produce around 150,000 seeds. Although a pre-emergent herbicide can help to control crabgrass, it is a resilient plant and is almost impossible to completely eliminate. 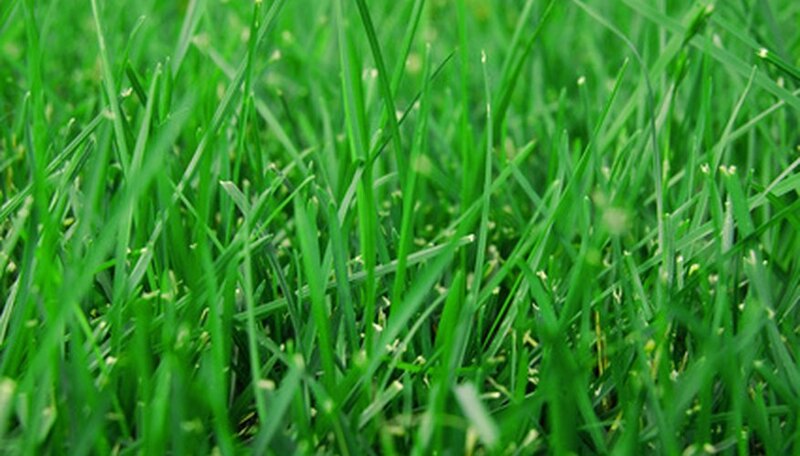 Keeping the turfgrass thick and well maintained is considered the best way to keep crabgrass from further spreading. Goosegrass (Eleusine indica) is a summer annual grass with thin lance-shaped blades that grow in a clump with 15 to 20 stems per plant and can produce around 50,000 seeds. Goosegrass first begins emergence in Florida and south Texas during the month of March, then in June through the more northern parts of the south. Goosegrass prefers to grow in areas where turfgrass is thin and is often found on golf courses and athletic fields where there is constant foot traffic or movement. If removal is desired, goosegrass can be physically removed or a pre-emergent herbicide application may be applied once soil temperatures reach and maintain a constant 55 degrees F.